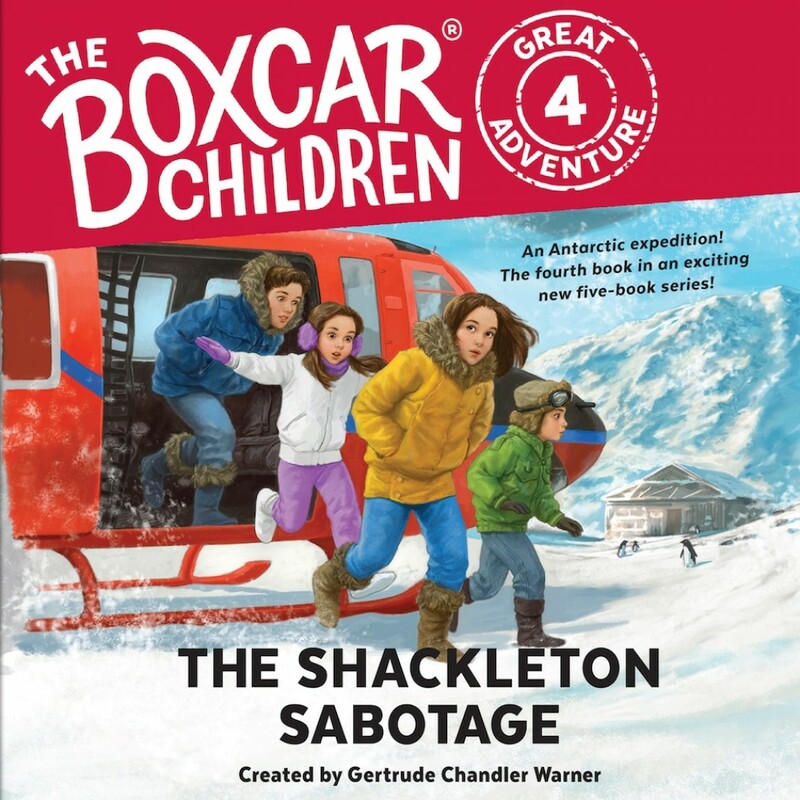 The Shackleton Sabotage | Gertrude Chandler Warner & Dee Garretson | Audiobook Download - Christian audiobooks. Try us free. The Aldens chart a course for their next adventure – Australia and Antarctica! As the children tour the famed Sydney Opera House, their next puzzle – and its key – falls right into their laps. They need to find the rightful owner of a rare Australian coin. Using their knowledge about Australia, the Aldens find the coin’s owner, but a saboteur is again hot on their heels and nearly spoils their hard work. Next up, the Aldens travel to frigid Antarctica, where they need to return an artifact to the hut Shackleton used on his expeditions to the South Pole. The trip is a success, but when they Aldens return, they learn the identity of the person who has been trying to ruin their plans. Will the saboteur keep them from returning the seventh and final artifact.